Accepted by almost all the world’s beer and beverage producers and by the manufacturers of drinks dispense equipment, John Guest products have quality and performance approvals from leading testing and acceptance authorities. NOTE: For information on approvals and accreditations pertaining to an individual product or product range please refer to our Technical Support department. Super Speedfit fittings are suitable for the following pressures and temperatures. Depending on the tube used, under certain conditions fittings may be used at higher pressures and temperatures. Please refer to our Customer Services Department for guidance. Note 1 Bar = 14.5 PSIG. Plastic Tube – Polyethylene, nylon and polyurethane conforming to the tolerances shown below. For soft tubing or thin wall tube we recommend the use of tube inserts. 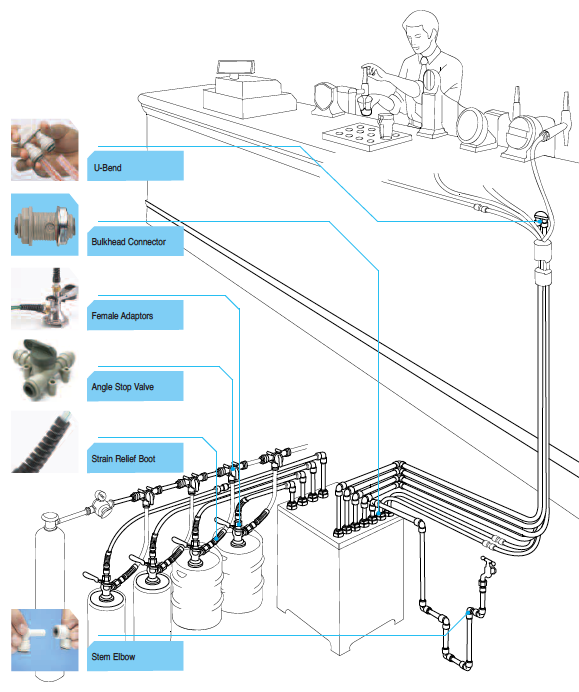 Braided Tube – Use of Tube to Hose Stems listed on pages 11, 16, 18, 21 and 26 is essential when using tube. Use of clamps to retain braided tube on barbs is recommended. Metal Tube (soft) – Brass, copper or mild steel conforming to the tolerances below. Metal Tube (hard) – We do not recommend Super Speedfit fittings for hard metal or chromium plated tubes. For stainless steel and other polished metal tubes we recommend the use of Superseal fittings. These are shown on page 9 of this brochure. It is essential that outside diameters be free from score marks and that the tube be deburred before inserting the fitting. Super Speedfit fittings are offered for tubes with outside diameters to the following tolerances. Fittings and tube should be kept clean and undamaged before use. All tube and fittings installations must be pressure tested after installation to ensure system integrity before handing over to the final user. See also “How to make a connection”. These valves have been designed to allow temporary servicing of downstream equipment and must only be used in the fully open or fully closed position. DO NOT USE THESE VALVES: In a partially open position to control flow; to provide a permanent termination; without tubing assembled or plugged (or threaded connections sealed, or as a tap or “faucet”. For use with chemicals or other potentially aggressive liquids, please refer to our Customer Services Department. In general, use only water or oil based paint. DO NOT ALLOW CONTACT WITH Cellulose based paint, paint thinners or strippers, solder flux or aggressive cleaners (see Cleaners and Sanitising). Keep away from ozone generators such as electric motors, mercury vapour lamps and high voltage electrical equipment. Super Speedfit fittings are not recommended for use with explosive gases, petroleum spirits, and other fuels or for central heating systems. Are available as additional security against removal of the tube or to provide a simple means of colour coding. The cover is offered in a range of six colours. Please see page 26 of this brochure. Maximum Torque Values for Plastic Threads BSP, BSPT & NPT. Plastic threads are not generally as strong as brass threads. Customers and end users should be aware of this when choosing products for their applications. Overtightening of plastic threads will cause undue stress and eventual cracking and leakage. The maximum torque figures for BSP and BSPT threads used on John Guest fittings in mating threads conforming to the relevant BS or International thread standards are shown below. John Guest recommend OEM customers to consider replacing threaded ports with the more modern Cartridge Systems. John Guest products generally require little maintenance but as a minimum we recommend routine visual inspection. Frequency of visual inspection will depend on severity of application and risk of failure. If after visual inspection John Guest products appear damaged, cracked, charred, discoloured, heat distorted or corroded they should be replaced. Any product that is or appears to be leaking should be replaced. Product life is affected by the severity of the application, the hostility of the working environment and contact with aggressive chemicals or liquids. It is therefore important that specific replacement intervals be considered by specifiers/users/customers based on previous service life or when failure could result in unacceptable downtime, damage or injury risk. The external surfaces of John Guest products must not come into contact with oxidising or acidic cleaners and sanitising agents, for example (but not limited to) those below pH 4, high in sodium hypochlorite level (bleach) or containing hydrogen peroxide. Our plastic material suppliers recommend ECOLAB Oasis 133 as a suitable cleaner for the external surfaces of products manufactured by John Guest. Several different methods exist for sanitising the internal surfaces of fluid systems, including sodium hypochlorite, hydrogen peroxide, chlorine dioxide or ozone. It is entirely the responsibility of the end user to determine if the chosen method is suitable for use with John Guest products over the planned working life of the system. However, to avoid unnecessary early failure, John Guest requires that the disinfection solution must be immediately flushed out at all draw off points with fresh, wholesome water at the end of the disinfection period. The solution must not be left in the system. 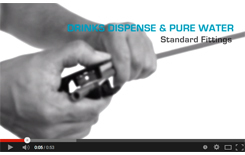 Disinfection solutions must only come into contact with the internal (fluid carrying) surfaces of the system. If any other surfaces of a fitting come into contact with disinfection solution the whole fitting must be replaced immediately. Polypropylene fittings offer greater resistance to aggressive chemicals than Acetal fittings but do not have the same mechanical properties. John Guest polypropylene fittings are generally designated by the part number prefix PP or PPM. John Guest products are not designed to be used whilst under side load as this may adversely affect their ability to function long-term. Always ensure tubes have good alignment with the fitting. They must also not be subjected to any form of impact or other damage, such as being hit or dropped, even accidently. If fittings have damaged or suffered an impact, they should be replaced immediately. John Guest warranty does not cover loss caused by any form of damage. Whilst we give a warranty against defects in manufacture or materials, it is the responsibility of the specifier to ensure that fittings and related products are suitable for their application. The installation must be carried out correctly in accordance with our recommendations, complying with recognised codes of practice and relevant national standards, and be properly maintained. Please refer to our terms and conditions of sale. 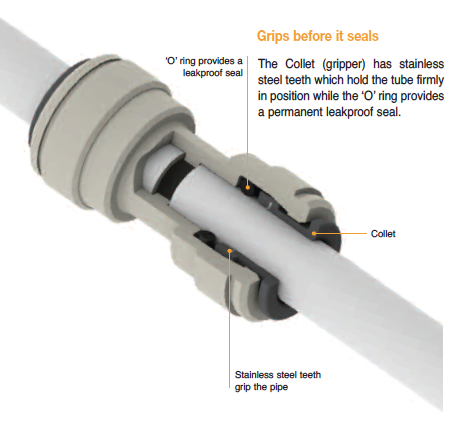 To make a connection, the tube is simply pushed in by hand; the unique patented John Guest collet locking system then holds the tube firmly in place without deforming it or restricting flow. Bodies are produced in an acetal copolymer or polypropylene. ‘O’ rings are Nitrile rubber or EPDM. Collets are produced in acetal copolymer or polypropylene with stainless steel teeth. Cut the tube square and remove burrs and sharp edges. Ensure the outside diameter is free of score marks. For soft or thin walled tube we recommend the use of a tube insert. Push the tube into the fitting, to the tube stop. Pull on the tube to check it is secure. Test the system before use. 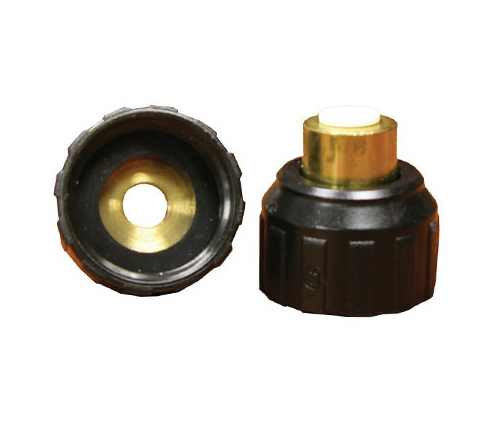 To disconnect, ensure the system is depressurized, push the collet square against the fitting. With the collet held in this position the tube can be removed. Super Speedfit push-in fittings have been designed for a wide range of industrial applications. They provide a fast and secure way of connecting tubes and offer considerable advantages over conventional fittings. Complex tubing systems can be assembled more rapidly than with traditional methods and because Super Speedfit fittings are easy to disconnect, fault finding and maintenance become a much easier operation.